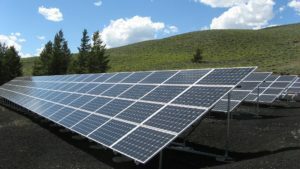 Norway’s Scatec Solar in 2018 established and acquired around a dozen of companies in Ukraine to implement its projects to build solar power plants. According to a report of Scatec Solar for 2018, the company entered into agreements with Rengy Development and obtained 51% in Rengy Bioenergy. At the end of 2018, the companies started building a solar power plant in Mykolaiv region with a capacity 47 MW for EUR 52 million. The European Bank for Reconstruction and Development (EBRD) and the Black Sea Trade and Development Bank (BSTDB) signed credit agreements of 50% each of the non-recourse debt financing of the project. The credit facilities amount to EUR 36 million and covers 70% of the total project costs. Commercial operation is expected during 2019. In 2018, Scatec Solar signed agreements securing the 30 MW Kamianka project in Cherkasy region with a total investment of EUR 35 million. EBRD and FMO, the Dutch development bank, signed credit agreements for the non-recourse debt financing of the project. The credit facilities amount to EUR 24.5 million and covers 70% of the total project costs. Construction started early 2019 with commercial operation expected in fourth quarter 2019. During 2018, Scatec Solar signed agreements securing projects with total capacity of 251 MW in Ukraine. Two of these projects secured financing in 2018 and moved into construction with 174 MW in project backlog. Total capex for the projects is estimated to EUR 193 million. In Ukraine, Scatec Solar is developing projects totalling 163 MW in addition to the 251 MW in project backlog and under construction. For the implementation of the projects the company also established Scatec Solar Ukraine Opr Comp (EPC) in 2018. 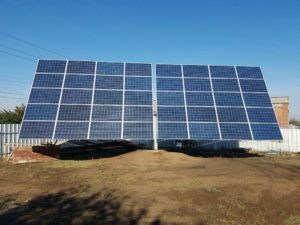 The Norwegian company in 2018 via its Dutch subsidiary Scatec Solar Ukraine B.V. became owners of 100% of Atlas Capital Energy, Greenteco SES, Progressovka and Boguslav Energy. The Ukrsadvinprom public association has called on the Agricultural Policy and Food Ministry of Ukraine to adapt the state-funded program compensating expenses on construction of fruit refrigerators to berry farms, member of the association and founder of Yahidky company producing organic blueberries Oleh Naumenko has said. “In 2018, we received compensation for planting material in full. However, officials have a misunderstanding of some simple questions… We ask the Agricultural Policy and Food Ministry to hear us and reconsider the program on refrigerators in the direction of adapting it to berry farms,” he said at a press conference at Interfax-Ukraine on Thursday. According to representatives of Ukrsadvinprom, the criterion of the capacity of this equipment for compensation from the national budget from 500 tonnes, as provided for by the current government decree, should be relaxed to 50-100 tonnes. “In addition to laying new plantings, you need to think about the storage of fruits and berries. However, refrigeration equipment with a capacity of 500 tonnes and more is used by large enterprises – producers of apples. And for blueberries, currants, blackberries, smaller capacity refrigerators are required,” Director of Horticulture Institute under the National Academy of Agrarian Sciences of Ukraine Ihor Hrynyk said. Head of Uksadvinprom Volodymyr Pechko said that in 2019, about 15 enterprises are candidates to have compensation for the construction of refrigeration equipment under current requirements. According to him, if the criteria for equipment are relaxed, about 80 export-oriented enterprises will be eligible for compensation under this state-funded program. “This will support not only large fruit producers, but also small farms. It will also provide an opportunity of storing berry products for about three months and exporting them not only to neighboring countries, but also to China, as well as to Chile and Argentina,” Pechko added. 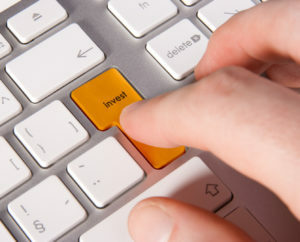 Volytsia-Agro LLC intends to invest $12 million in the launch of a logistic complex for grain storage and processing in Bila Tserkva industrial park (both based in Kyiv region) owned by the founder of UFuture Investment Group, entrepreneur Vasyl Khmelnytsky, according to the official Facebook page of the businessman. “Our company acquired a land plot of 4 hectares, on which we plan to build a modern elevator. We intend to use $12 million and create 100 jobs. Agricultural products collected at the company’s enterprises will be stored at the elevator and then sent for exports,” director of Volytsia-Agro Volodymyr Pokrovsky said in an interview with the local TV Channel Krokus. The company plans to launch the first phase of the complex in 2020. It will include an elevator with a total capacity of 40,000 tonnes of grain with a daily accepting capacity of 3,000 tonnes. The elevator will be equipped with a laboratory, grain dryers, silos for wet and dry grain. The complex will be able to receive and ship grain both by road and rail. Khmelnytsky also said that in a month Plank Electrotechnic plant will be launched in the industrial park, the construction of which was started last year. “A year ago we laid the first brick here. Now the plant is completed, in a month we’ll start production. The first test production of Plank plant is already on the shelves of the local Epicenter supermarket,” the founder of UFuture Investment Group said. As reported, Plank Electrotechnic plant, which will produce electrical accessories and other electrical products, plans to produce 4.6 million units of products per year. At the first stage, it was planned to create 50 jobs, with the development of the cluster to 300. DTEK Renewables (DTEK RES) starts preparation for the construction of Pokrovska solar power plant with a capacity of 240 MW in Dnipropetrovsk region. The press service of DTEK Group told Interfax-Ukraine a contract has already been signed with Siemens, which has been elected general contractor for the construction of a 35/150 kV substation with the supply of all key equipment. “We are launching another important project in the renewable energy industry of Ukraine. The construction of such large infrastructure projects as Pokrovska solar plant is a significant contribution to the implementation of the Energy Strategy of Ukraine. Only through the work of this solar plant, we plan to produce about 400 million kWh of “green” electricity that will allow reducing carbon dioxide emissions by 400,000 tonnes. Investments in the project will amount to about EUR200 million,” DTEK Renewables CEO Philipp Leckebusch said. Turkey’s Emsolt Investments Holdings Ltd. has started building a solar power plant with a power capacity of 11 MW in Khmelnytsky region and plans to expand the project. The information was presented at a meeting of Chairman of the State Agency for Energy Efficiency and Energy Saving Serhiy Savchuk with representatives of the company last week, the press service of the agency has reported. The sides discussed the prospects of investing in solar power plants and biogas units at the meeting. Emsolt in 2017 proposed projects to build solar power plants in Ukraine with a total capacity of 100 MW. At present, the company is building plants in Zhytomyr and Khmelnytsky regions with a total capacity of near 20 MW. 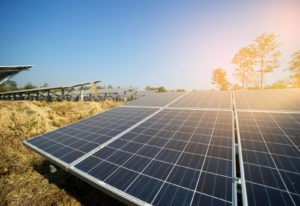 Atlas Capital Energy LLC, belonged to Norway’s Scatec Solar, in March 2019 will start building a solar power plant with a capacity of 50 MW in Hola Prystan district of Kherson region. 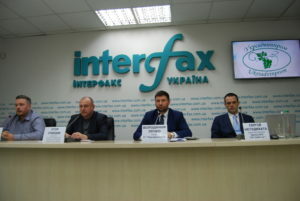 This information was presented at a meeting of Head of Kherson Regional Administration Andriy Hordeyev with top managers of Atlas Capital Energy LLC on Wednesday, the press service of the administration reported. Currently, according to the regional administration, five wind farms and 31 solar power plants with a capacity of 294 MW are located in Kherson region. The volume of attracted investments in these facilities is UAH 1 billion. As reported, in January 2019, Scatec Solar said that its investment in the construction of a solar power plant with a capacity of 150 MW in Mykolaiv region will amount to EUR180 million. 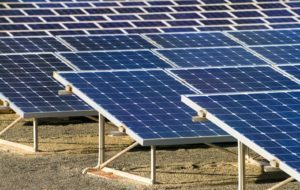 In July 2018, the company signed an agreement with Rengy Development (Kyiv) on the joint construction of a solar power plant in Mykolaiv region with a capacity of 47 MW for EUR 52 million. At the beginning of 2019, Scatec Solar also commenced construction of a Kamianka solar power plant in Cherkasy region with a capacity of 30 MW. The cost of the project, which is scheduled for completion in the fourth quarter of this year, is EUR 35 million. The European Bank for Reconstruction and Development (EBRD) finances these projects – traditionally it provided for financing of 70% of the project cost.